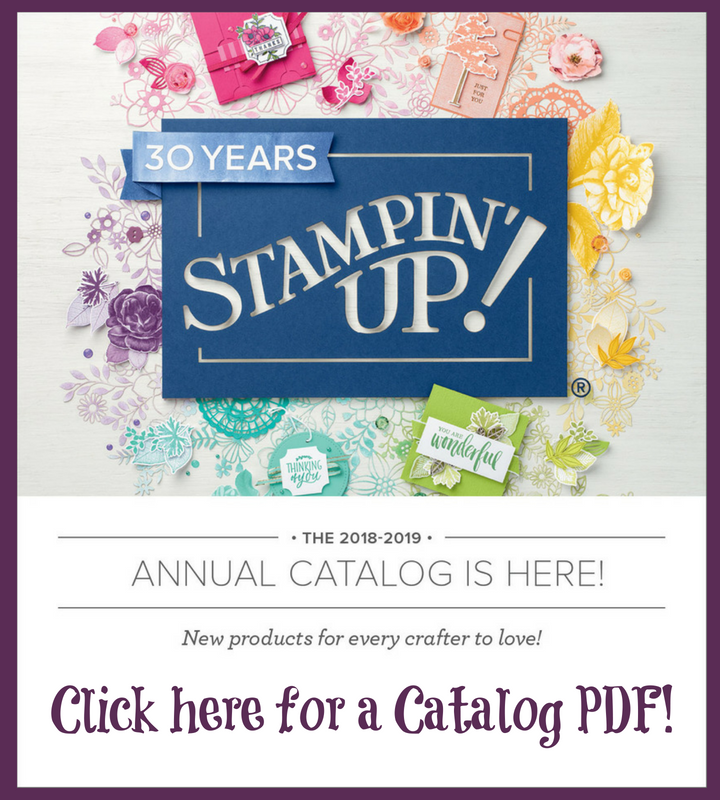 Welcome to the Stampin' Addicts Occasions Catalog Blog Hop.This weekend we are featuring new products, projects and ideas from the Stampin' Up! 's Occasions Catalog, which you can order from now. Remember, it's also Sale-a-bration time, so you can earn FREE items with every $50 purchase. Did you come from Yapha's Blog featuring Cool Treats. Don't her projects make you think of summer? 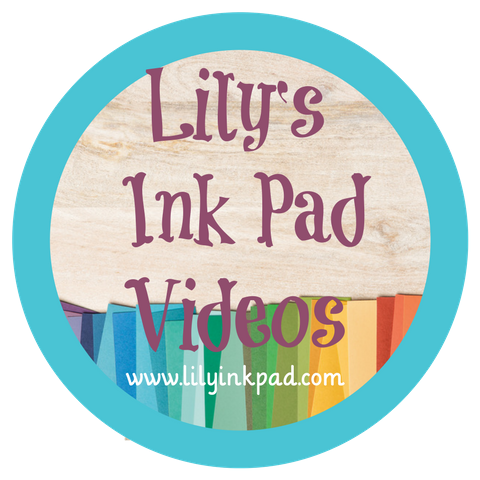 Or, if going backwards, did you check out Tanya's Sealed with Love projects. I am ready for Valentine's Day now! 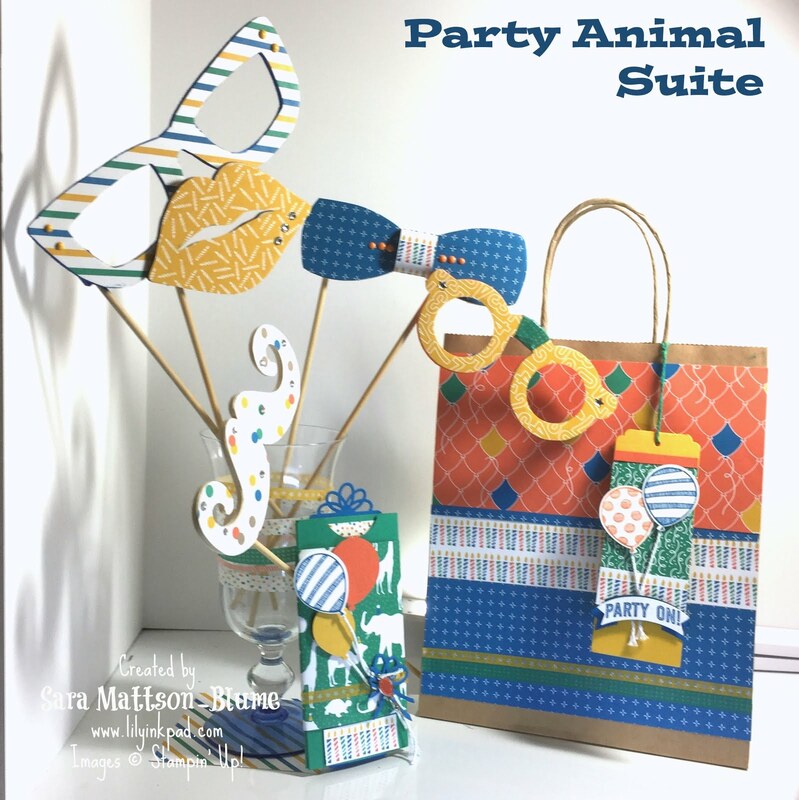 My creations feature the Party Animal Suite, which is a fun, birthday themed collection of products. Pretty cool, huh? I think the Party Animal Designer Series Paper has fun, bright patterns that were easy to combine. The photo booth props were my first project I thought of, but the last one I finished! I found these wooden photo booth props at a craft store and I really am terrible at painting. 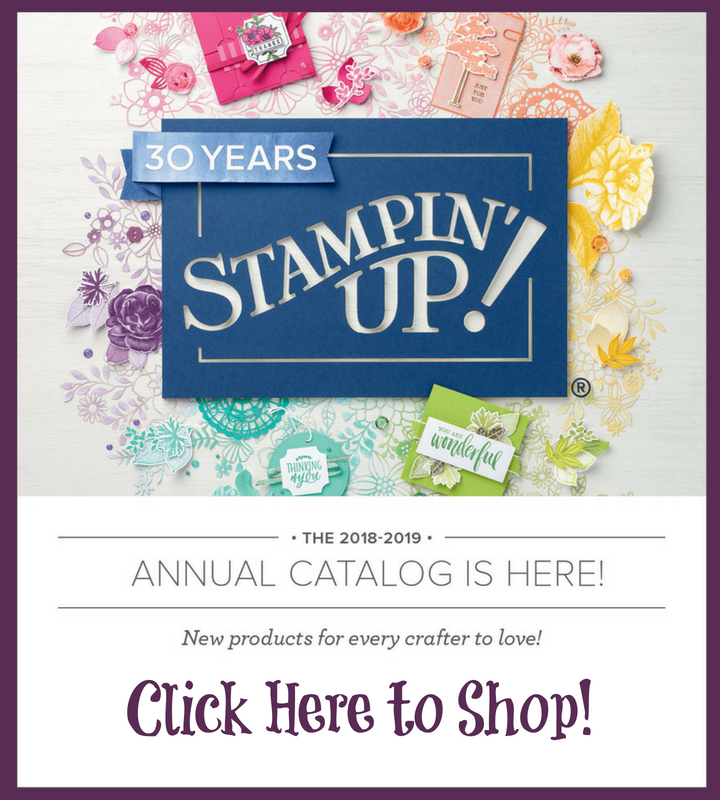 I knew I needed to add Designer Series Paper, rhinestones, and Enamel Dots for fun! I put them in a glass I added Party Animal washi tape stripes. The best part is that I can simply remove the tape to reuse the vase at another time. The bag and tag were fun to make. 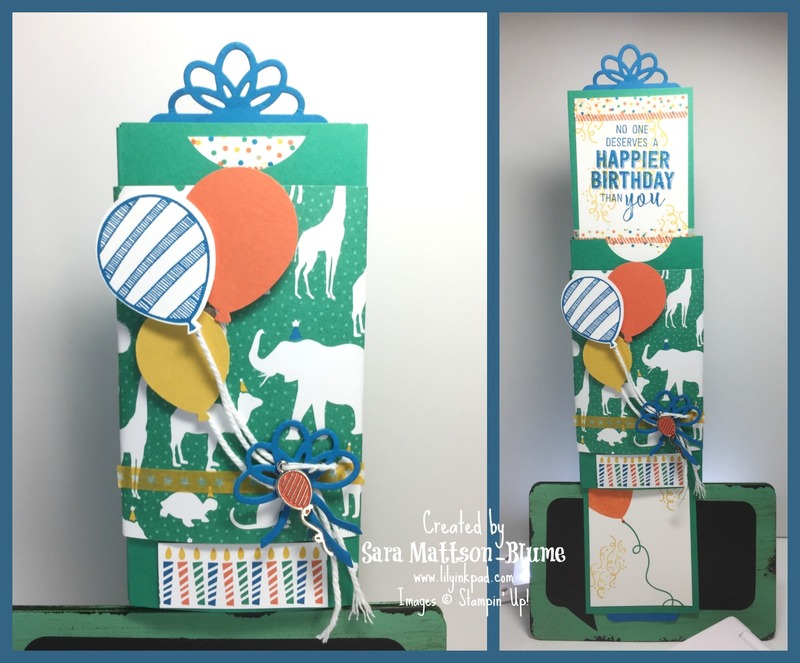 The Balloon Pop-Up Framelit Dies includes a little tag-topper framelit that scores and cuts the curves of the top! 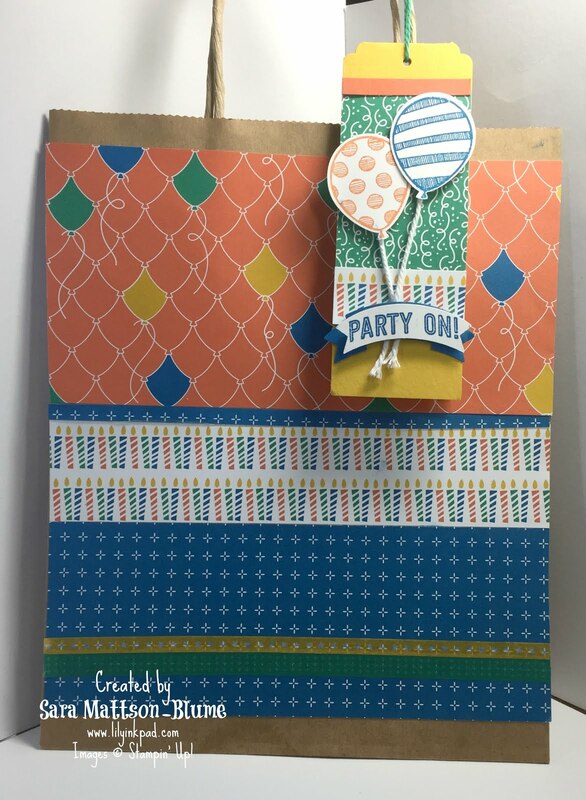 I layered the rest using the Balloon Bouquet Punch and Duet Banner Punch. So super cute! 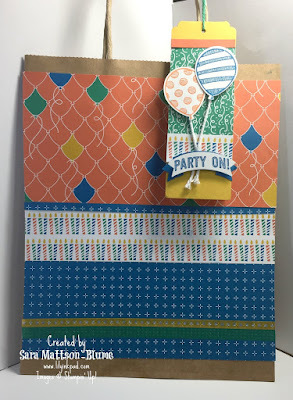 The Balloon Pop-Up Framelits include the loopy-bow type pieces which add a eye-catching element to the card. Any kid would love the movement and surprise of this card! I hope you enjoyed my projects! On Sunday, I'll post more details, card recipes, and tips! Click Next Blog to visit Tanya's blog post featuring the Sealed with Love Suite or, if you prefer, go backwards by clicking Previous to go to Yapha's Sweet Treats post! Such fun projects! The double slider is a great idea, and I love those photo booth props! These are amazing, Sara! I love those photo booth props! Super cute! And thank you for the great banner and buttons, too! Super duper cute!!! Love those photo props and everything else. Great double slider card.